Reason for cancellation of the conference was not explicitly stated but ministry of defence issued a letter to fellows of the IDSA – India’s oldest think-tank – citing “administrative reasons". NEW DELHI: The government has cancelled an annual conference held by one of its major think-tanks, the Institute of Defence Studies and Analysis (IDSA). The Asian Security Conference hosted by the IDSA annually was marking its 20th year with the theme “India and China in Asia: Making of a New Equilibrium”. The conference was scheduled to be held this month. The reason for the cancellation of the conference was not explicitly stated. But the ministry of defence issued a letter to fellows of the IDSA – India’s oldest think-tank – citing “administrative reasons”. 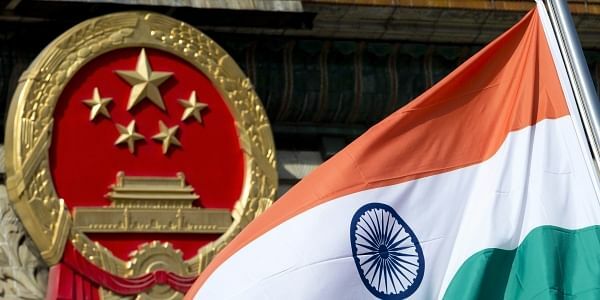 Scholars with the institution suspect that the cancellation was dictated by New Delhi’s perceived need to not anger Beijing before important visits. Prime Minister Narendra Modi is scheduled to visit China for a meeting of the Shanghai Cooperation Organisation (SCO) in June. Before that, defence minister Nirmala Sitharaman is likely to visit by the end of April. It is not yet clear if Sitharaman will be visiting China for an SCO defence ministers’ meet or for a bilateral visit. The cancellation also comes after a note by the Cabinet Secretary to secretaries of ministries urging them to tone down anti-China rhetoric. Earlier this month, the Dalai Lama was nudged to move a function to mark the Tibetan uprising from New Delhi to Dharamshala. The Dalai Lama also cancelled his scheduled visit to Imphal, Manipur, for the Indian Science Congress that was inaugurated today. Informally, scholars in IDSA were also told that the government would not currently entertain a public discussion on China’s “Belt and Road” initiative. The IDSA is an institution under the ministry of defence. It was asked to cancel the conference after it sent invitations to scholars in India, China, the US and elsewhere. The conference was divided into 12 sessions that would conclude with a panel discussion on “Comprehensive national power of China and India: 2035 scenario”. Scholars in IDSA also suspect the deferment and effective cancellation of the Asia Security Conference is a deliberate ploy to promote competing think tanks that are not directly with the government but are promoted by private enterprises. They say the IDSA was also pushing a hardline on India’s China policy since the face-off in Doklam.